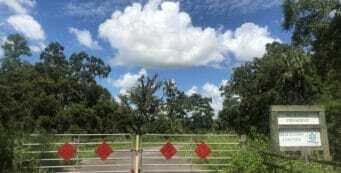 Cypress Circle | Chassahowitzka WMA | Florida Hikes! 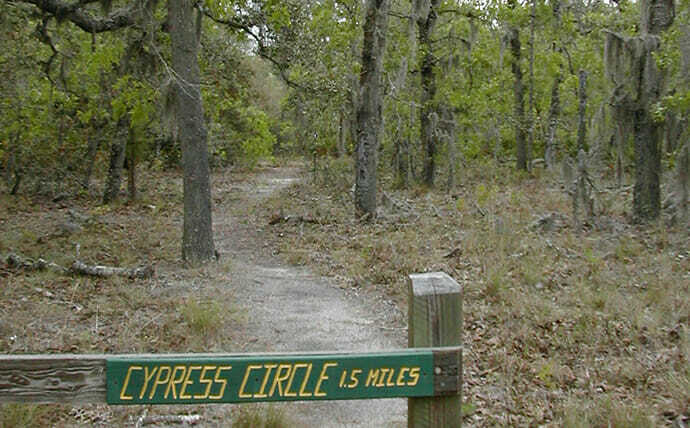 Starting at the fence with the Cypress Circle sign, follow the footpath, which is marked with brown hiker markers. Duck under a low canopy of scrub oaks to follow the trail through sandhills and scrub. 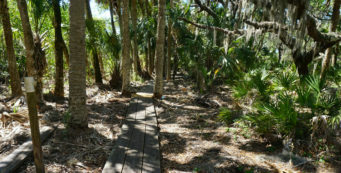 It heads down a corridor lined with saw palmetto before it emerges on the edge of a pine flatwoods. 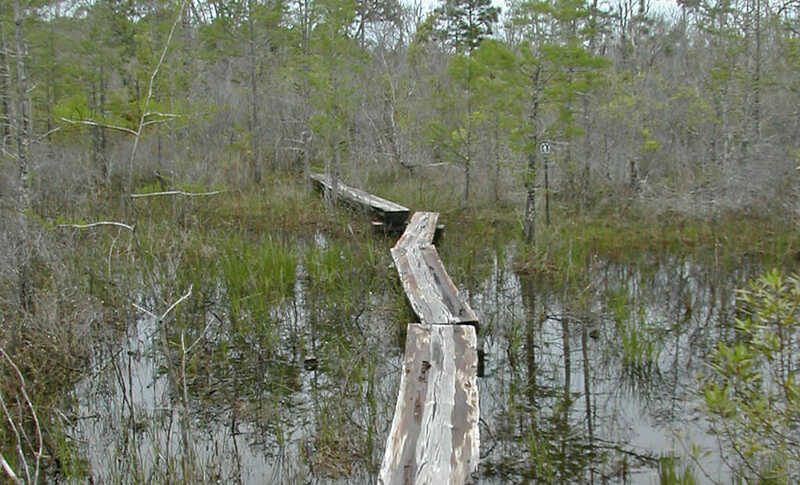 Near the end of the loop, the trail crosses a bog bridge over a wet prairie. Cypress Circle is to the east of the parking area.